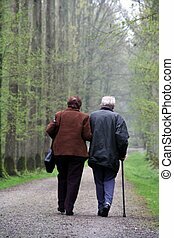 Elderly couple walk. 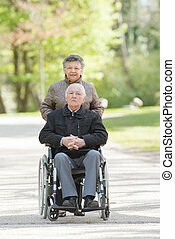 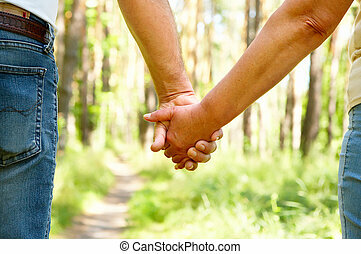 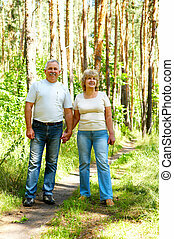 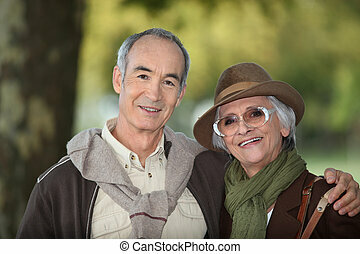 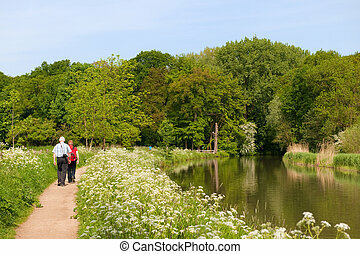 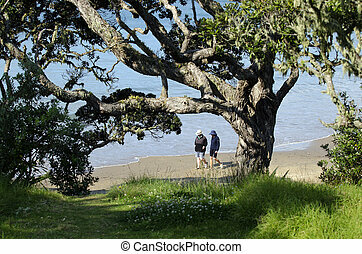 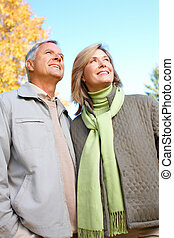 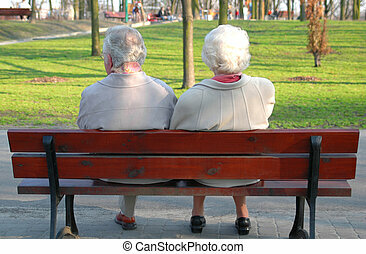 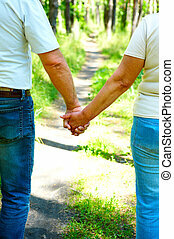 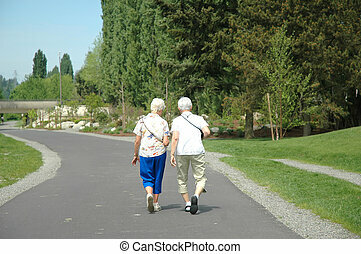 Elderly couple walking in park. 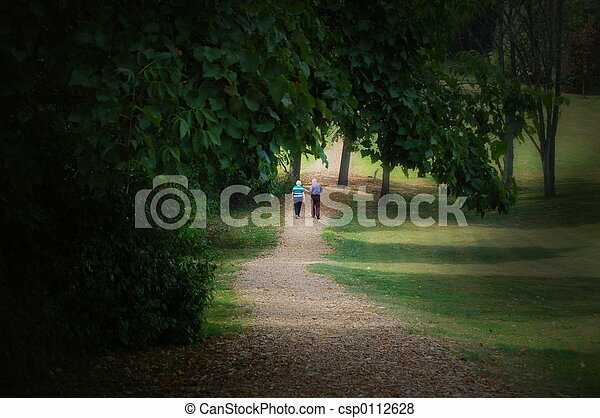 Senior women walking together on a walking trail. 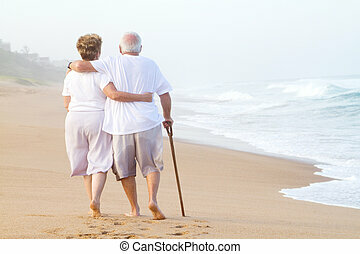 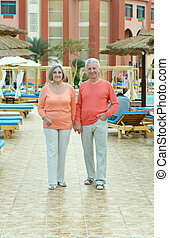 Elderly couple walk on the beach.